My friend Debbie was asked to lead a bird walk at our local library, and she asked me to come along to help. I always learn a lot from Debbie so I was happy to attend. Our library has a beautiful Memory Park, which is a project of the local Rotary Club. 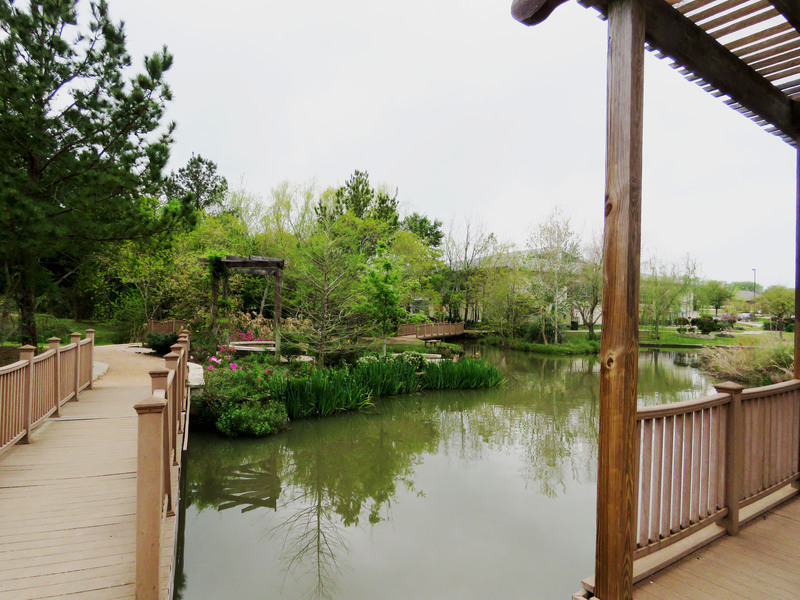 There are theme gardens with a waterfall, large pond, and even a tiny wetlands area. 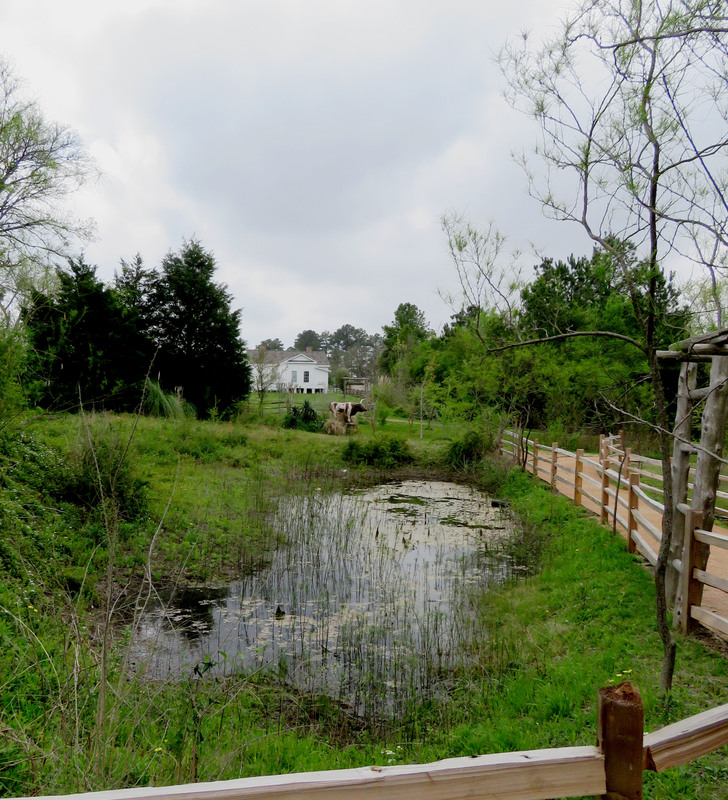 It backs up to a small historical park, and beyond that is a huge grassy field. 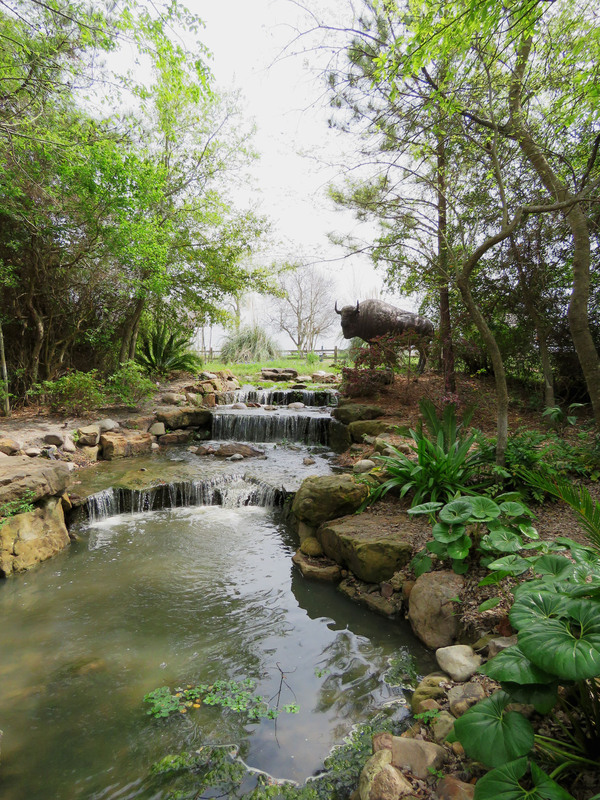 Behind the library is a waterfall area, with a bison sculpture. 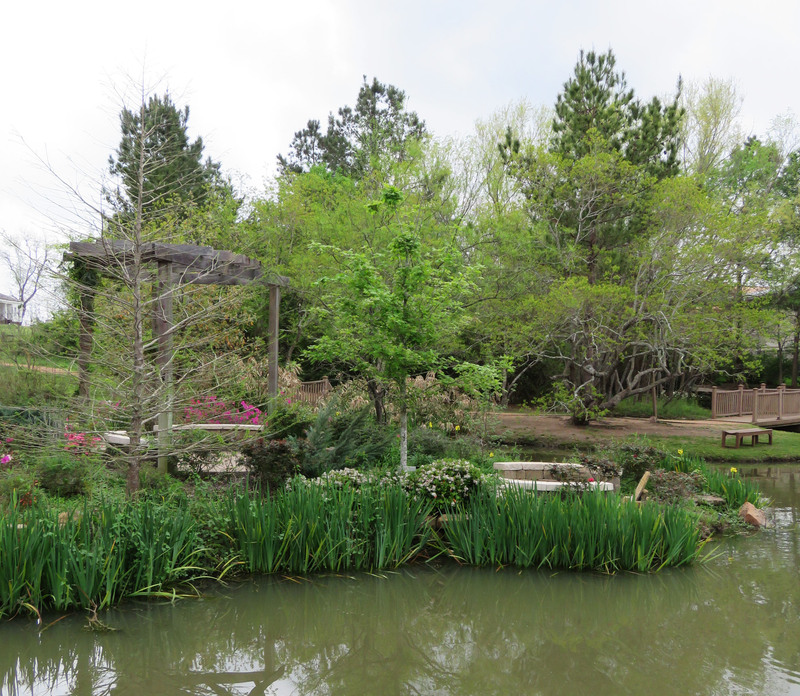 The pond area at our local library. 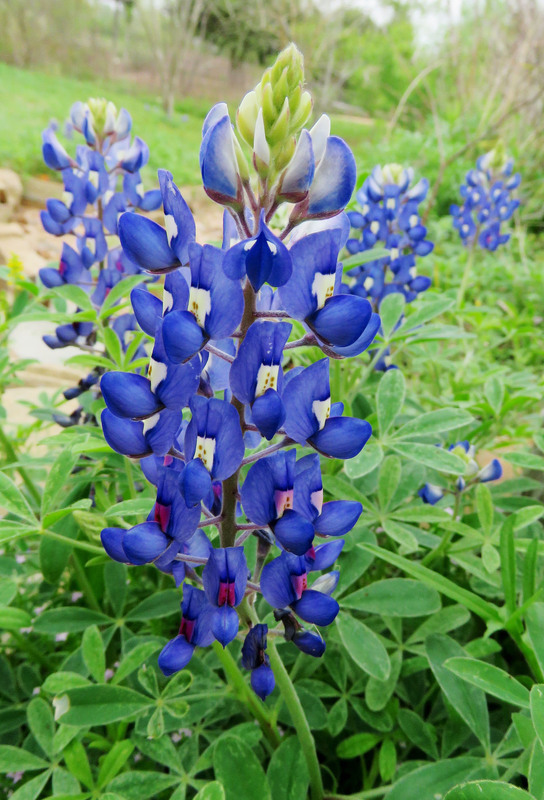 Our state flowers were in bloom. However there used to be fields and trees all around it, but now houses are being built in those fields, so I didn’t expect to see much. I’m happy to say I was wrong, and in an hour and a half, on a trail only a half mile long, we saw 21 species. I think the thoughtful planning of the garden has provided habitat for a variety of birds that might have moved on otherwise. Several birds were hanging out around this tiny wetlands area. In the background is a historic house and a longhorn sculpture. In the field I heard some birds I have heard here on our farm, but haven’t been able to identify. They reminded me of a Red-winged Blackbird with their pure tones, but they sounded plaintive instead of cheerful. Debbie was able to tell me that they are Eastern Meadowlarks, and after a few minutes, one came up to a nearby bush and posed. I can’t get this audio to embed as I would like, and there are some human voices in the background, but of all the files I listened to, this one sounds most like the meadowlarks I hear on the farm. It was a cloudy day so the pictures didn’t turn out great, but they were a first for me. 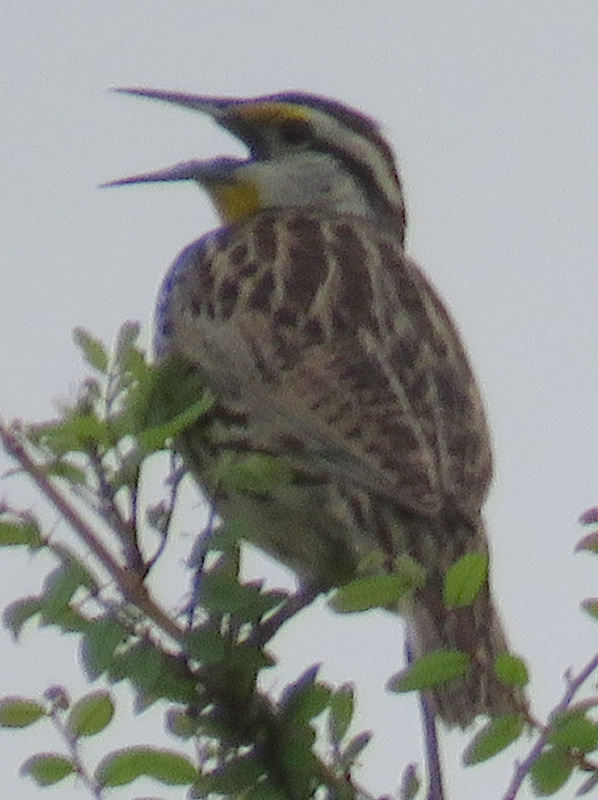 Twice in my life I have seen Eastern Meadowlarks jump up on a fence as I was driving by, but I have never been able to stop and get a picture. I was reminded on this short walk of the benefits of birding with a group. It’s plain that birding with someone more advanced than yourself is a great way to pick up some facts and tips, but it is also beneficial to bird with beginners. They make me slow down and look at every bird more carefully. The beginners in our little group were the ones who noticed Bluejays and Northern Mockingbirds carrying nest materials. They also pointed to a large bird on the horizon and asked what it was — if Debbie and I had been walking alone, we probably would have glanced at it and thought “vulture.” It might not really have registered. But because she had to answer a question, Debbie realized it was a Bald Eagle! 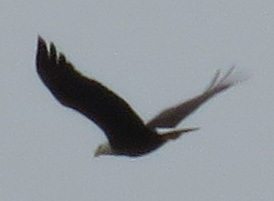 They are known to be in our area, but are not common, so it was exciting to see it fly over. The walk was supposed to be over at noon, but we had seen so much everyone stayed until 12:30. After they had left, Debbie and I went back for another loop around the pond, to get a better look at some sparrows we had seen. 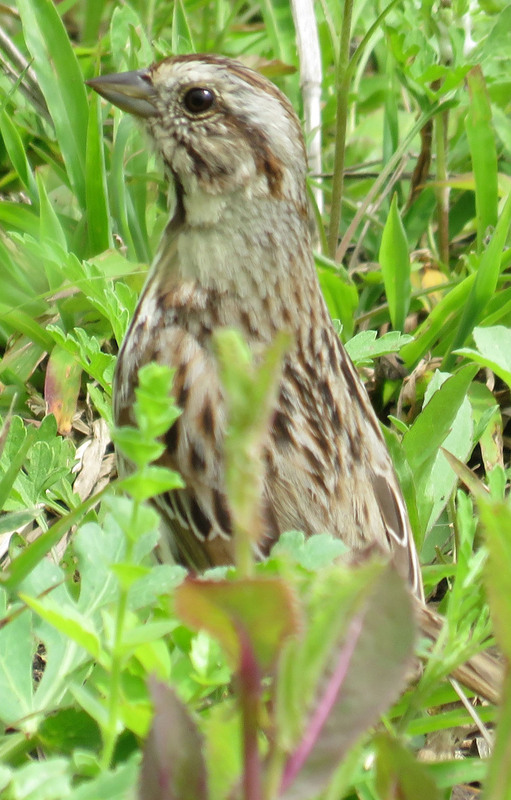 The two sparrows that occur in our area most often are Chipping Sparrows and White-throated Sparrows — we knew we had seen a third species on the walk, but we didn’t know what it was. 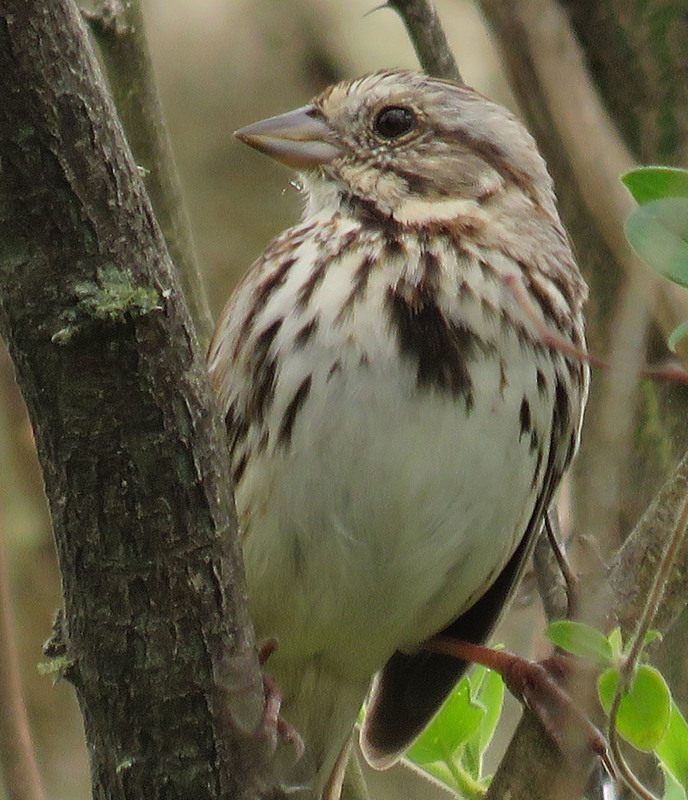 The mystery sparrow, later identified as a Song Sparrow. One of them was walking through the grass near us, and I was getting some pictures of it, when some piece of large equipment started running at the construction site nearby. The sparrow stretched up and looked in that direction. Its curiosity made for some cute pictures. Thank you, for taking me along on your walk… it brought back great memories of a teacher I was very fond of, taking us for walks, when we were in primary school, to teach us about the birds and plants in our area. He made learning so much fun. I still remember all the names we learnt on those walks and his lovely smile when we remembered the names on our next adventure. Wouldn’t he be pleased to know that knowledge and the love of nature stuck with you! There is an elementary school across the street from this library and park, and I bet they take their kids for walks there sometimes too. It is a wonderful resource. I am sure he would… There is no comparison between learning things first hand and learning from a book, as much as I love books. Sounds like it was a great walk. What a lovely place your library is–wow and kudos to the civic group who possessed the forethought to plan something like that. Great bird shots–of the Song Sparrow and Eagle alike! Such a great place to have closeby…I do believe I’ve seen some Song Sparrows at one of my feeders. I’ll have to watch more closely to be sure. Even with the houses creeping close by, nature , alobg wuth our help can adjust and provide adequate habitat for our lovely birds. How exciting to see an eagle in flight..amazing. 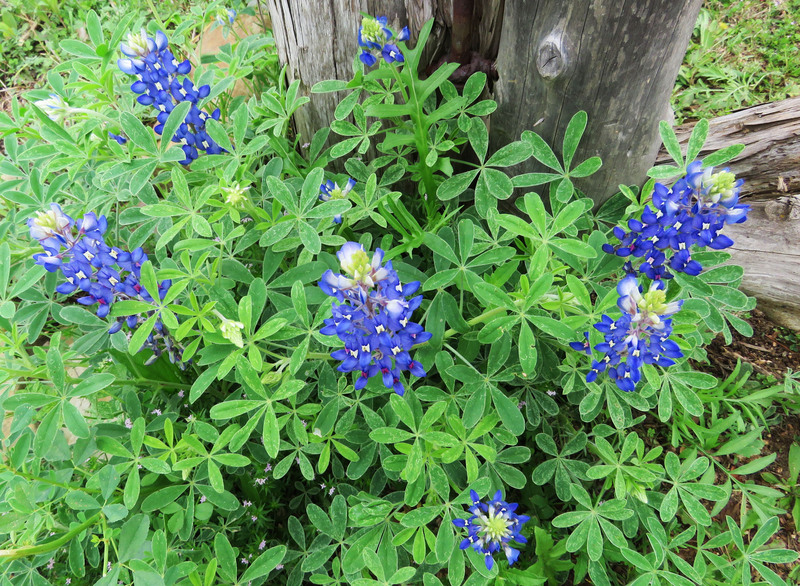 Yes, in Texas Master Naturalists and other places, it seems the new message is that we can help wildlife and native plants with even small areas, and that makes me feel more hopeful! I’ve been thinking of adding a new pond as it’ll bring in more birds. . Just don’t know if I’m ready for all the work.